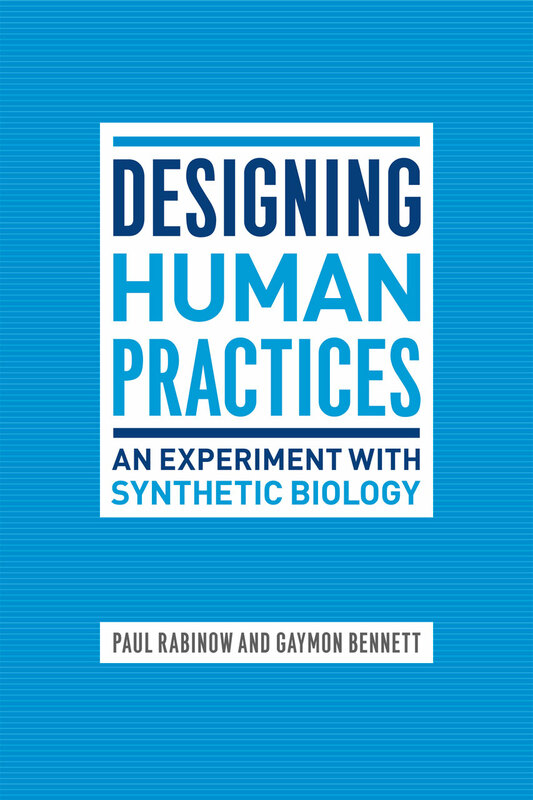 In 2006 anthropologists Paul Rabinow and Gaymon Bennett set out to rethink the role that human sciences play in biological research, creating the Human Practices division of the Synthetic Biology Engineering Research Center—a facility established to create design standards for the engineering of new enzymes, genetic circuits, cells, and other biological entities—to formulate a new approach to the ethical, security, and philosophical considerations of controversial biological work. They sought not simply to act as watchdogs but to integrate the biosciences with their own discipline in a more fundamentally interdependent way, inventing a new, dynamic, and experimental anthropology that they could bring to bear on the center’s biological research. Designing Human Practices is a detailed account of this anthropological experiment and, ultimately, its rejection. It provides new insights into the possibilities and limitations of collaboration, and diagnoses the micro-politics which effectively constrained the potential for mutual scientific flourishing. Synthesizing multiple disciplines, including biology, genetics, anthropology, and philosophy, alongside a thorough examination of funding entities such as the National Science Foundation, Designing Human Practices pushes the social study of science into new and provocative territory, utilizing a real-world experience as a springboard for timely reflections on how the human and life sciences can and should transform each other.